eSports is a form of competition using video games and takes the form of organised, multiplayer video game competitions, particularly between professional players. Some of the most common video game genres associated with eSports are real-time strategy, fighting, first-person shooter (FPS), and multiplayer online battle arena (MOBA). During gameplay, players battle for reputation, prize money and sponsorships similar to a motorsports competitor or professional fighter. All the sports genres are included in the 2018 eSports events. eSports events holds a wide range of tournaments throughout the year including The International, the League of Legends World Championship, the Evolution Championship Series and the Intel Extreme Masters. These tournaments provide live broadcasts of the competition which has helped the sport grow and become one of the fastest growing competitive sports in history. With that being said, for 2018, the competition is intense and there are some highly anticipated events scheduled for the first part of the year. Let’s take a look at some of them now. Dota 2 is a competition worth $1,000,000 and it will bring 16 of the world’s best Dota 2 teams to Poland for the fifth Major of the 2017-2018 Competitive Season and is a very popular eSports event. The Esports Insider Super Forum (#ESIForum) focuses on the convergence of traditional sports and eSports. Covering such issues as investment in teams and leagues, guidance on where the key opportunities exist and how to go about making the most of them, sponsorship and examples of brands doing well in eSports, the situation with media rights and broadcasting and more, the Esports Insider Super Forum is one of the largest and most important in the eSports events industry. 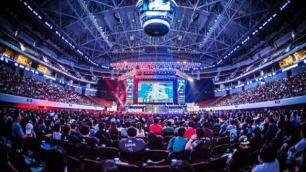 Try out the sports betting opportunties for Esports events here.